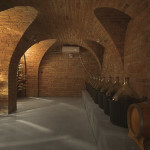 our guests have an exclusive wine cellar at their disposal with the capacity of up to 40 people. it is filled with top quality bottles from local wine producers. 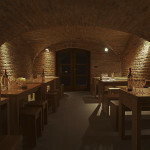 the cellar offers a degustation corner, its own restaurant and a spacious terrace. 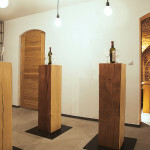 if desired, we can arrange a wine degustation with an experienced sommelier. the cellar is a great place to organize family parties or work events with wine tasting, traditional moravian food and barbeque specialties.